Commercial Waste Collection – If you maintain a property for the purposes of a trade or business, you know how much junk is being produced every day. We know it’s annoying and we offer our help – at your leisure. 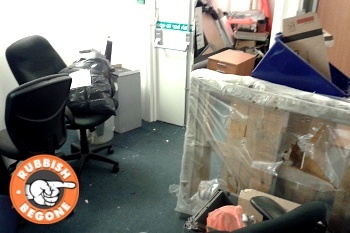 Shop Clearance – Any type of shop or venue produces a lot of rubbish on a daily basis. If that’s your case, simply call us and consider the problem solved! IT Disposal – Electronic equipment can’t be thrown away lightly (there are both legal and environmental consequences). However, we will gladly deal with the unnecessary devices for you. Tyre Disposal – Tires are both heavy and big. Getting rid of them is an absolute nuisance. However, even old and damaged tires can be recycled. Instead of throwing them away by yourself, let us handle them instead of you – you save yourself a lot of time and efforts, and you help the environment a little bit!